Eye For All debut 7" is out now! 4 brand new songs on black vinyl. Get yours through us or The Hood Took Us Under Records. 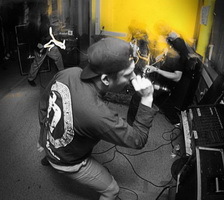 Eye For All are based in Helsinki and draw influences from NYHC sound.